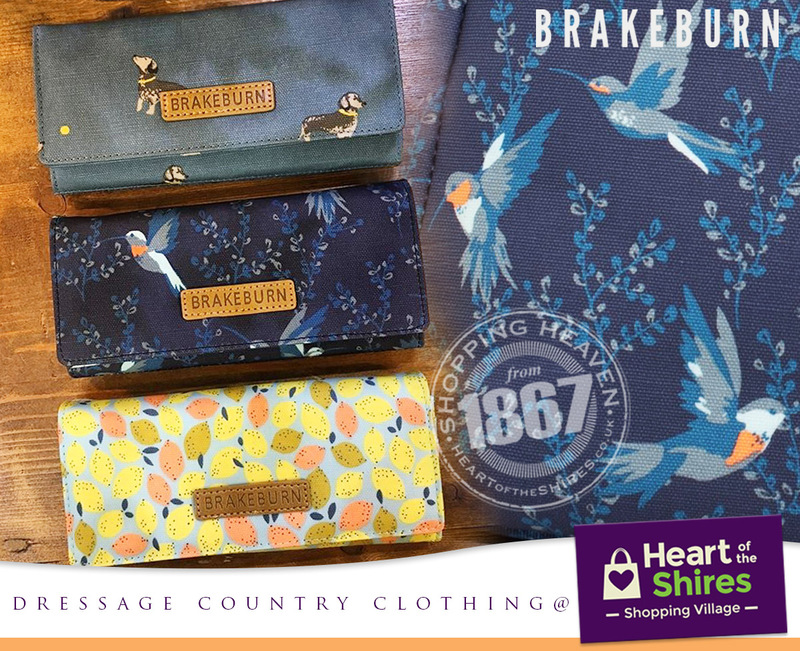 Showcase as a clutch or keep for everyday use these fabulous fold over purses are hand-drawn the team of designers at Brakeburn. They are available now at Dressage Country Clothing. Brakeburn began back in 2011 in Poole, Dorset. Their head office is a stones throw away from the second largest natural harbour in the world and a short ride away from some of the UK’s best beaches, and of course, the Purbeck Hills. Brakeburn love being outdoors, whether it’s on the beach at dawn, cycling to the office, or a weekend dog walk in the country. The team of talented designers use the beautiful surroundings as inspiration to design hand drawn prints, unique detailing, flattering fits and comfortable fabrics. Dressage Country Clothing are stockists of Brakeburn and Joules, Masai, Barbour, Thought, Nomads, Mistral and Seasalt.